Little Sturgeon Days Community Rummage Sales – Friday, Saturday, and Sunday (June 22-24, 2018). Maps at Stevenson Pier Mini-mart. Follow us on facebook at Little Sturgeon Days. Where does the money raised at Little Sturgeon Days go? 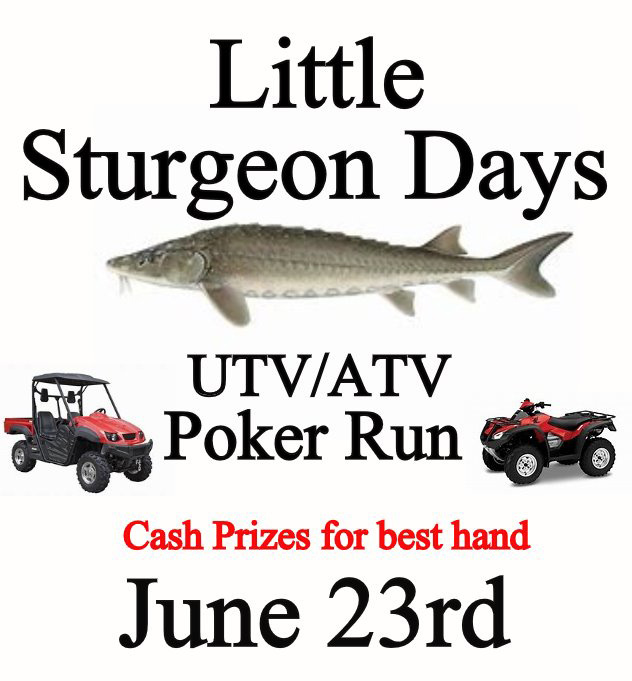 Little Sturgeon Days is organized by the Little Sturgeon Property Owners Association which is a non-profit organization. $500 to Town of Gardner First Responders for equipment updates and supplies. $500 Southern Door High School Music Department. Well testing for private wells in the Town of Gardner and continuous water testing of the bay. Proceeds to the Emergency Response Team and the BUG Fire Department to outfit the rescue boat. Proceeds paid for the defibrillators for the Little Sturgeon First Responders.